Coming Up Next: MAY-HAW, Colquitt’s Own Variety Show! Are you ready to laugh with silly jokes and tap your feet along with good Country and Gospel music? 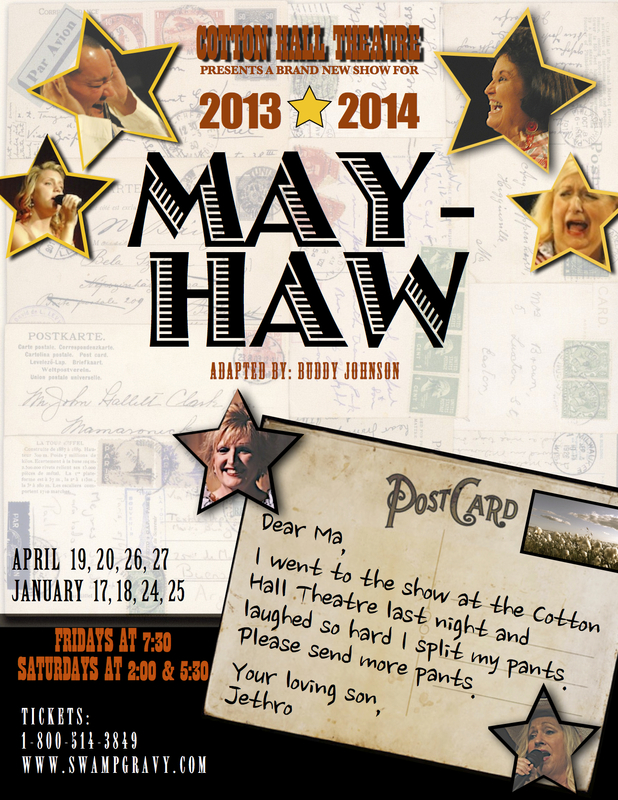 Well then get ready, because MAY-HAW, Colquitt’s own Variety Show, is back starting April 19th, just in time for the National Mayhaw Festival! We’ve got a new playwright, a couple new singers, new songs, new jokes – all adding up to a BRAND NEW SHOW! This entry was posted in News and tagged May-Haw, May-Haw Festival, New Show by Swamp Gravy. Bookmark the permalink.